Are You Tired Of Feeling Held Back By Fear And Self-Doubt? Fear kicks in. Self-doubt gets louder. And you talk yourself out of it. Wouldn’t It Be Amazing If You Could Confidently Approach Any Situation? This might sound far-fetched or too good to be true. Especially if it’s an area that you’ve struggled with for years or even decades. I get it. I used to think certain things were just impossible for me. It was “impossible” to approach an attractive woman I didn’t know, strike up a casual conversation, and walk away with her number. It was “impossible” to confidently talk with a group of people and share my ideas. It was “impossible” to just feel comfortable in my own skin no matter what happened. All of this was impossible until I experienced it myself. Now I’ve seen hundreds of other people transform before my eyes. I’ve watched guys transform fear and self-doubt into power and confidence in a matter of a few short months. I watch people do the “impossible” on daily basis. “When I first met Dr. Aziz I was really small. I used to be super stuck in social anxiety. I had a hard time greeting people and even saying hi to the cashier at a supermarket was difficult. My boss didn’t like me, my dad didn’t respect me, and women didn’t seem attracted to me. “The results of the mastermind have been incredible. I have a competely different view of myself and I can do things I’ve never done before. It’s awesome! => One of my client’s had been single for 4 years and hadn’t dated at all. In 6 months he was dating three amazing women and deciding which one he wanted to choose to be his girlfriend. => A man I worked with used to struggle to speak up at work and boldly sharing his ideas. Now he is a team leader and confidently speaks in groups. Just 3 weeks ago his boss decided to step down and he was offered the promotion. => A woman I worked with used to criticize herself after every conversation she had. No matter what she did she never felt like it was enough. Now she is on her own side no matter what and feels a sense of freedom and ease speaking with others. => One of my clients was recently promoted and was terrified of new responsibilities that involved “schmoozing.” After 2 months of coaching he went to a conference where he confidently met dozens of people and even signed up a high-ticket account for his organization. Think you can’t get results like this yourself? Think again. Each of these people thought this kind of confidence was impossible for them. And now every single one of these people have acheived extraordinary levels of confidence…and you can too… with the greatest level of guidance and support you’ve ever experienced. The Unstoppable Confidence Mastermind is an in-depth program that will transform your level of confidence. 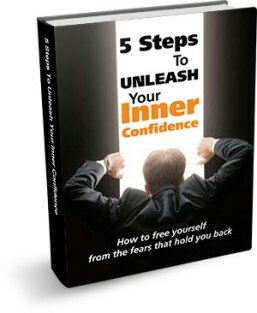 Over the course of a year you will eliminate the obstacles that are stopping you from feeling completely confident in yourself in any setting, including business, meetings, conversations, dates, and anywhere else in your life. Get together with me personally and a small group of your peers to dive deep and transform your confidence level. These calls are deeply transformative and help you re-condition your mind to have true confidence in any situation. 3 calls per month. Come together as a group in person so you can dive deep in an intimate setting and make rapid changes in your career confidence, dating life, self-esteem, and all areas of life that matter. These are like Group Coaching Calls on steroids. Discover how to casually and easily start conversations with anyone, know exactly what to say when, and create outstanding connections for business, dating, and your social life. Eliminate fear, shyness, and anxiety so you approach any person and any situation with power, charm, and relaxed confidence. Easily meet, attract and date incredible women and find a girlfriend by becoming the most authentic, confident, and magnetic version of yourself. I designed this group to be completely life-transforming. I wanted each person to have a ton of personal attention from me and from the group so that your confidence and success are inevitable. To that end, this group is currently limited to just 20 members. There are two “Pods” of 10 people each. Your Pod is the small group you’ll have all the Group Coaching Calls with. Then, when we have the Exclusive Mastermind Retreats, you work with people from both your Pod and the other Pod. Currently there are only 3 openings. The last time I offered this group, it filled in 3 weeks. During your interview, if it seems like a good fit, we can discuss your membership in the program, including the investment. 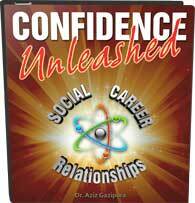 The Unstoppable Confidence Mastermind is NOT first come, first serve because I am highly selective about who I work with. If you’re ready to completely transform your confidence this year, fill out the application and I will contact you to arrange an interview. I look forward to the opportunity to help you create a life of extraordinary confidence. ($30K investment). This is a highly-personalized and tailor-made program, and I limit my individual clients to six total. The Unstoppable Confidence Mastermind offers many of the same benefits at a fraction of the cost. Spots are limited, so I encourage you to apply today. I will personally review all the applications and select the people who are the best fit for the group. Then we will set up a time for an interview.